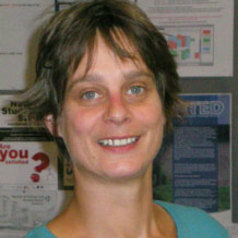 Bridget Woodman is course director for the MSc Energy Policy course and a member of the Energy Policy Group in the School of Geography, University of Exeter. Previously she worked at Warwick Business School as a UKERC Research Fellow in its Infrastructure and Supply theme. Prior to that she undertook her DPhil on Renewables and Distributed Generation at SPRU, University of Sussex. The majority of Dr Woodman’s work is focused on the policy and regulatory aspects of a transition to sustainable energy systems and her publications reflect this area she has developed. She currently sits on the Board of Trustees for Cornwall Neighbourhoods for Change. Bridget has been involved in engaging with a wide range of stakeholders, including companies, communities and individuals on both climate and energy related issues. Bridget has provided advice, reporting and consultation on energy issues for Green Alliance, European Commission, DTI, BERR and Greenpeace. Bridget has a strong focus on policy and regulatory aspects of delivering sustainable energy systems from a multidisciplinary perspective. Bridget’s research interests have a strong focus on the policy and economic regulatory aspects of delivering sustainable energy systems from a multidisciplinary perspective. At the moment, policy making for sustainable energy in the UK appears to be incremental, and made up of small adjustments in approach or individual policies within stable institutional settings. Energy systems - electricity, heat and transport - are currently dealt with separately in policy making processes, meaning that areas with system synergies – such as the integration of heat and electricity production, or the exploitation of electricity for transport – are either neglected relative to simple ‘single system’ policy measures, or are not addressed at all. As a result, the current design of policy for sustainable energy options in the UK tends to neglect the full range of carbon and security advantages that they could offer. The new energy system context shaped by climate change and other policy requirements suggests that incremental, path dependent decision making will not be an adequate response to the need for rapid change, and that increasing pressure both within and outside energy systems could lead to a more fundamental shift in the development and implementation of policy for sustainable energy systems within a new set of institutions. This is the central area that Bridget focuses on.